"A fantastic afternoon with the ever positive and professional Lucy Bowden. Learnt loads and look forward to putting it into practice!" “Our session was extremely informative and has given me a lot more confidence to get out there fishing on my own. I feel my casting will come on a treat now with the techniques you have patiently shown me. I will also be able to choose the fly's from the list you have recommended and have a better chance of a catch. "Taking up fishing in early retirement was a great idea I now wish I'd done it sooner and reaped the benefits of a calming activity while working in a stressful job. Lucy Bowden makes it all easy with step by step coaching in a relaxed manner even if it's pouring with rain!" 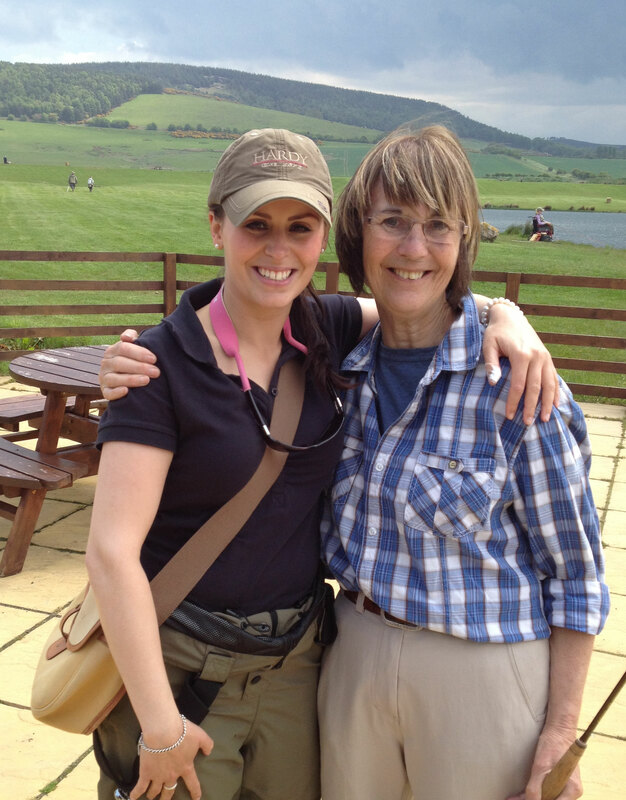 "I booked a coaching session for my son Barry who has a learning disability and has never cast a fly line before and myself to see if Lucy could teach us how to cast! It was a big ask, but Lucy greeted us in the fishery car park with a friendly smile and immediately put us at ease over a cuppa. Once tackled up, within an hour, Lucy had managed to teach Barry the basics and he was focusing on the big fish he was hoping to catch! Throughout the lesson Lucy always had a smile, was very professional and VERY patient! At the end of our session, although the fish kept refusing our tasty offerings, we reluctantly reeled in. Look out fish we'll be back! Thanks Lucy you're a great coach!"